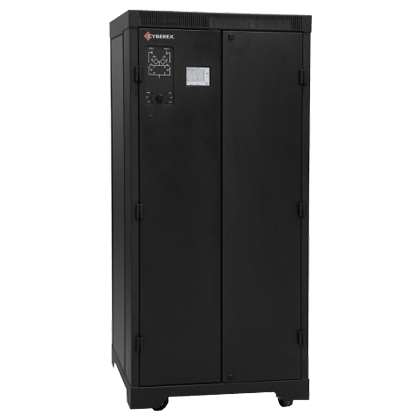 Supportek provides quality solutions to your UPS needs that can be measured in lower energy and operating costs, while maintaining reliability within your critical power infrastructure. When reliability and peace of mind are critical to your operation, give us a call so that we can understand your needs for both now and the future. StarLine Track Busway is the revolutionary electrical power distribution system for the mission critical, retail, industrial, and higher education markets — or for any facility where power is needed. It is the simple, versatile, fast and economical solution for supplying power to electrical loads. The busway can be tapped instantly at any location – without losing any uptime. Starline Busway gets power to your loads in a fast and reliable manner. 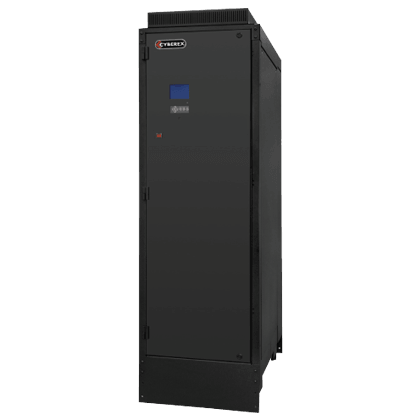 StarLine Plug-In Raceway® is the next generation in raceway systems created to meet the ever changing power distribution and datacom needs of retail, labs, data center, and higher education customers. StarLine’s innovative design offers a flexibility that no other product on the market offers – the ability to add or relocate plug-in modules anywhere on the raceway quickly and easily, eliminating the time needed to reconfigure circuits, receptacles, and wiring. Data Centers are the essential ingredient in today’s business environment. What is the best method from getting power from the source to your loads in an efficient way? The Cyberex PDM helps you answer that question with flexible output distribution and a large array of transformers options to provide the most versatile PDU offering in the industry. Remote Power Panels by Cyberex provide a means to get your distributed power closer to where it’s needed. 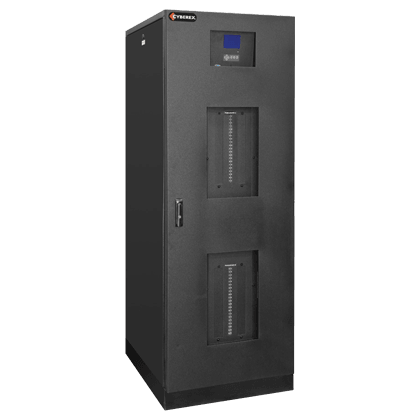 The Cyberex RPP units are designed to fit in a row of racks and can have up to four panelboards (two in front and two in back). 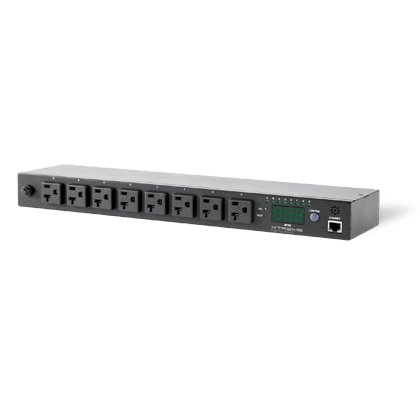 This provides more flexibility in your data center as you distribute power closer to the racks. Designed with a ‘true’ fault tolerant architecture, SuperSwitch®3 ensures there is truly no single point of failure through the use of their patented transfer algorithm and robust electrical components. 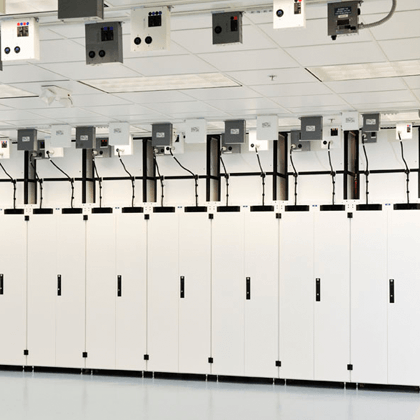 Cyberex DSTS systems are the cornerstone of redundant power for a wide range of applications including data centers, hospitals, semiconductor manufacturing, and other installations where continuous power is critical to a facility’s mission. 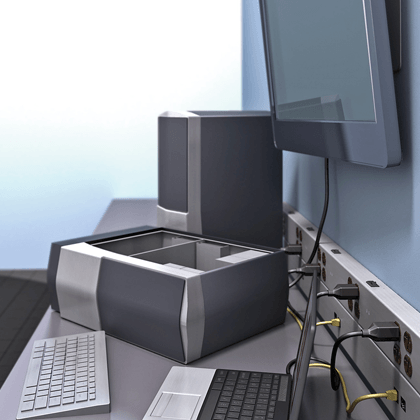 Rackmount Power Distribution Units provide a vital link in data center management by providing power to your servers. Their reliability and capabilities help you to manage these assets to keep businesses up and running.